him frequently at the animal hospital and when there he was tranquilized 3x a day and ended up with lacerations on his feet and on one of his pads. i was absolutely sickened when i read how he was treated and very thankful they decided to give him up. begrudgingly accepted him into their pack. he seems to be slowly learning how to communicate with them. his one downfall is inappropriate growling. he’s the sweetest guy and i haven’t found a mean bone in his body, but as soon as he gets a tugging opponent he begins growling, which makes everyone drop out, with the exception of dave & i. hopefully the dogs will begin to realize that he doesn’t know he’s making these sounds and learn to ignore them. he’s begun running with everyone but unfortunately he has developed an enormous fondness for reilley, which is quite a shame as reilley isn’t in the market for any friends …after all he’s got me. hug therapy and i will eventually break him down…he will love me damnit! one of the greatest joys i get to experience in life is seeing a dog start to realize that he is safe & loved. the first time they really play with the pack or make their first friend always makes me cry. 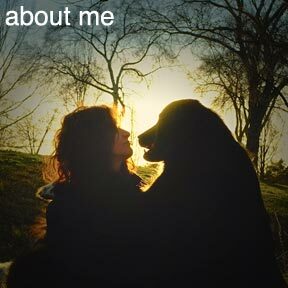 it is a privilege i have gotten to experience in my life, although i would much prefer every dog begins life loved. flanagan is another example in my life of that. late breaking news: flanagan officially played with and was welcomed by the pack tonight. i begrudgingly have to give all the credit to indi. we usually find that things start to happen when we are around but not part of the action. tonight, because it is like winter here in nashville, dave & i went in the hot tub and low and behold the action started. flanagan made some very dog-like moves on indi and she started playing with him. the two of them played for quite a while and then phin, jewel, and watson joined in. flanagan is now officially a member of the pack.